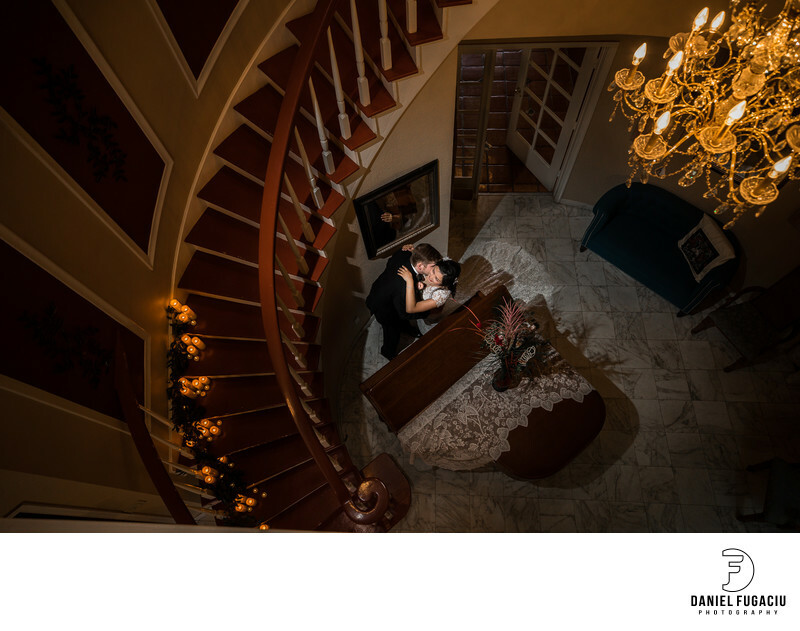 Stunning portrait of bride and groom embrace by the piano inside Casa Reta venue in Fort Lauderdale, Florida. One of my first destination weddings in US. Location: 4125 SW 76th Ave, Davie, FL 33328. Keywords: bride (6), chinese american (3), embrace (3), fort lauderdale wedding (3), groom (6), portrait (3), wedding (6).